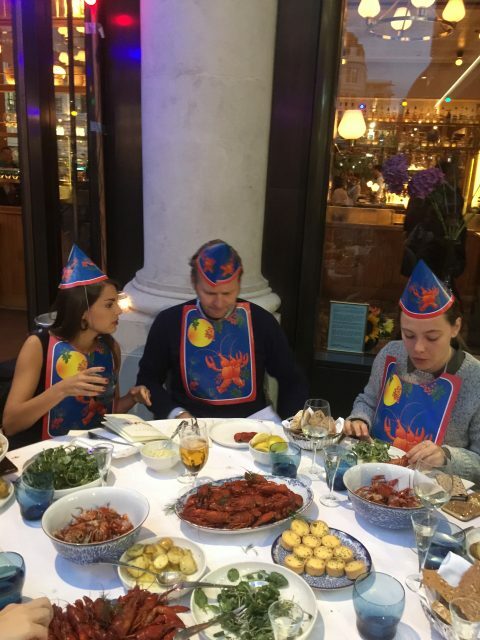 On Thursday night db’s Niall Penlington (not pictured) attended the crayfish party at Aquavit in St James Market, where restauranteur Philip Hamilton looked very dapper indeed. For those not up to speed with their Scandinavian calendar,a crayfish party is a traditional summertime eating and drinking celebration in the Nordic countries. The tradition originated in Sweden, where a crayfish party is called a kräftskiva. It traditionally happens in August, but Aquavit sent off the summer in style with its own do.